They say “a picture is worth a thousand words” – I think Colin’s last lyrical entry puts the lie to that cliché. 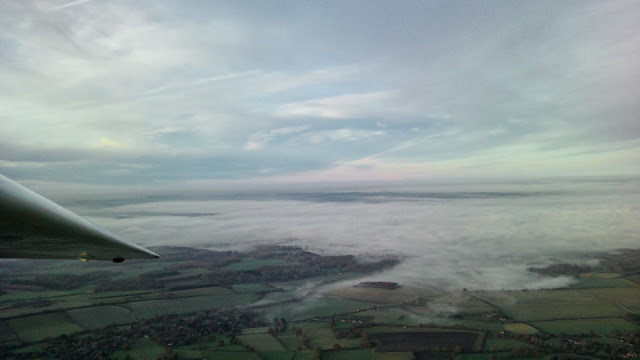 The few of us who made the effort to make our way through the fog to the clear air at Rivar Hill enjoyed flights to remember – with one exception. Rowland needed the services of an instructor but the canopy’s of both the K13 and Puchacz misted up (despite all our efforts). For reasons best known to itself the K8 remained clear. 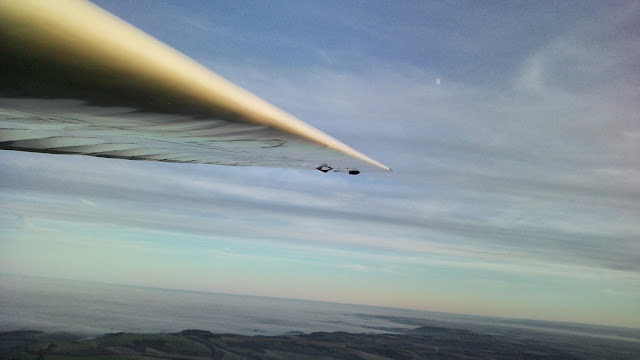 Three of us had launches to 2,200′ taking 11 minutes to return to earth but Steve B managed to squeeze that extra minute to take “longest flight of the day” honours. I snapped away with the camera on my phone. The pictures don’t do justice to Colin’s words but I offer them anyway.